The Northern Mockingbird is the state bird of Arkansas, Florida, Mississippi, Tennessee and Texas. The female and male Northern Mockingbirds have the same grey and white coloring, so it’s hard to tell the difference between them. Northern Mockingbirds live and nest at the edge of forests and in back yards, making their homes in bushes and shrubs or shorter trees. It takes Northern Mockingbirds less than 4 weeks to make a nest, lay eggs and raise the babies to be independent enough to leave the nest. The Northern Mockingbird likes to eat seeds, insects, bugs, mealworms and suet you put out in a bird feeder. About the same size as an American Robin, the Northern Mockingbird is between nine and eleven inches long. The grey color may make them look plain, but don’t underestimate the beauty of Northern Mockingbirds. A white block of color on the wings and the lighter-colored underside of the tail add interest to this songbird's appearance. When they fly, the white colors are more pronounced. Northern Mockingbirds tend not to migrate each year, unless the winter is especially cold and harsh. This means that once you have Northern Mockingbirds in your neighborhood, they may stick around all year. In fact, they seem to prefer nesting in the same general area each season. Northern Mockingbirds are fascinating to observe over time. 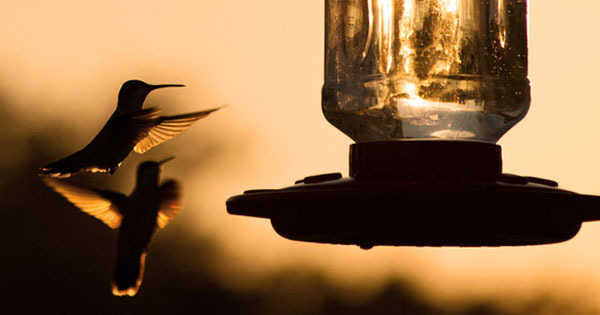 Their ability to recreate the songs of other birds means that you never know what you will hear. Both male and female Northern Mockingbirds sing and they often know dozens, if not hundreds, of different songs. Beginning in the morning and well into the night, Northern Mockingbirds will sing their songs for anyone who is there to listen (and some who would rather be sleeping). During breeding season, male Northern Mockingbirds are especially vocal. Since they know dozens of different songs, it can be hard to tell when you've found a Northern Mockingbird. Northern Mockingbirds can be found close to the ground hunting for insects or high atop a telephone pole. 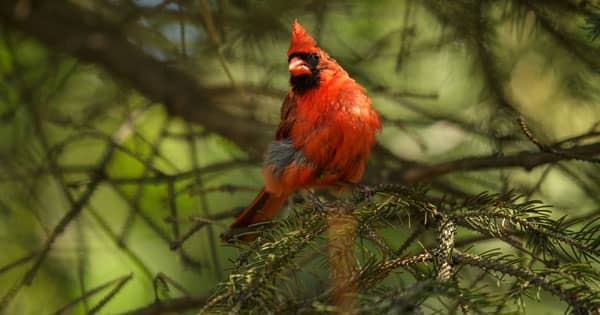 They are intelligent birds who love to sing, so keep an eye - and an ear out - for these vocal birds. Their songs will fill the air, with un-mated males being the most outgoing singers. In an unusual twist, female Northern Mockingbirds chase off other female Northern Mockingbirds and males deal with the males. Once they mate, Northern Mockingbirds become a little quieter; however, they will aggressively harass other birds who they see as competition for resources or for a female Northern Mockingbird’s attention. They have also been known to chase off birds or cats that get too close to a nest. Northern Mockingbirds tend to live near where we do - in small cities and towns as well as in parks and the outer edges of wooded areas. 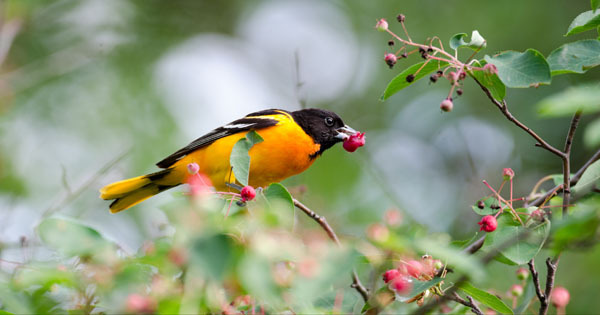 Since they make their nests just a few feet off the ground, look for them in shrubs or bushes, or nesting on lower tree branches. The nests of Northern Mockingbirds only take a couple of days to make, and are usually constructed from pieces of small tree branches. Grass, hair or even trash is placed on top of the twig base to create a softer interior cup into which the eggs will be laid. The female lays three to four eggs which she incubates for around 12-13 days. After the eggs hatch, both the male and female Northern Mockingbirds will bring food (usually insects) to the nestlings. About two weeks later, the babies will be ready to leave the nest. Insects and bugs: Northern Mockingbirds look for fields and other open grassy areas where insects are plentiful. They will eat flying insects like butterflies, moths or bees, as well as grasshoppers, beetles and other small crawling insects and bugs. Berries and fruit: Berries and fruit are favorite foods of Northern Mockingbirds during the colder months. Northern Mockingbirds will aggressively defend feeding territory that includes bushes with fruit or berries from other birds. Earthworms and mealworms: Northern Mockingbirds are not as likely to be seen pulling earthworms from the ground as the common American Robin. However, Northern Mockingbirds do feed on earthworms and mealworms at bird feeders. Suet: Northern Mockingbirds eat suet from bird feeders, but cannot hang upside down the way woodpeckers and chickadees do. 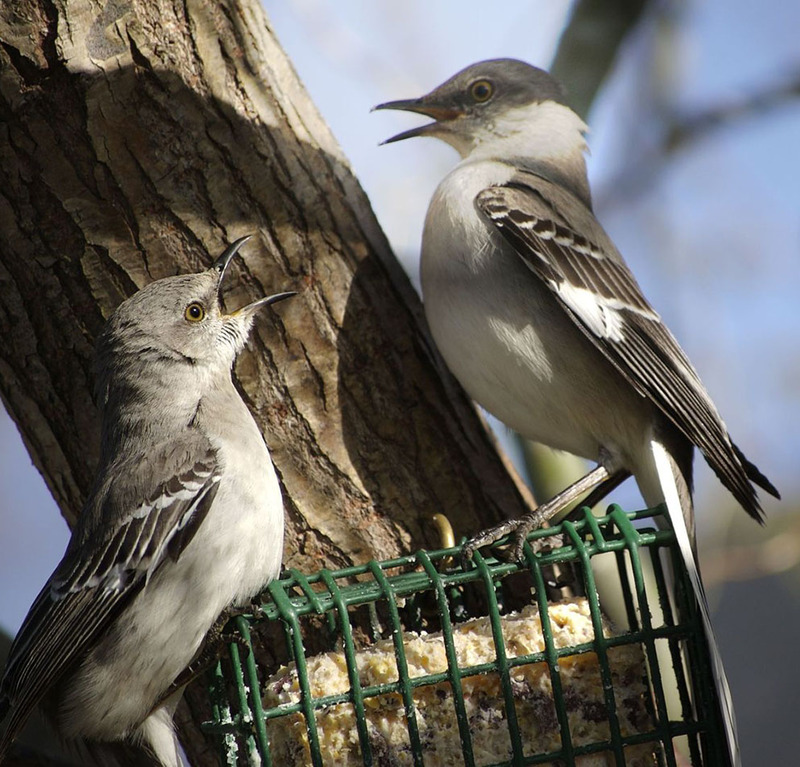 If you want to attract Northern Mockingbirds to your yard, use a simple mealworm or suet feeder.